TORONTO, ON – Samuel Adams has announced that the latest vintage of one of its most distinctive and anticipated limited edition releases will be available in Ontario. The 2017 Utopias release was brewed using a special blend of two-row pale malt combined with Munich and Caramel 60 malts that impart a rich, ruby colour. Three varieties of German Noble hops – Spalt Spalter, Hallertau Mittelfrueh, and Tettnang Tettnanger – balance the sweetness of the malt. A portion of the beer was then aged in hand-selected, single-use bourbon barrels while the remainder was aged in a variety of barrels including Bourbon, White Carcavelos, and Ruby Port at Samuel Adams Brewery in Boston. 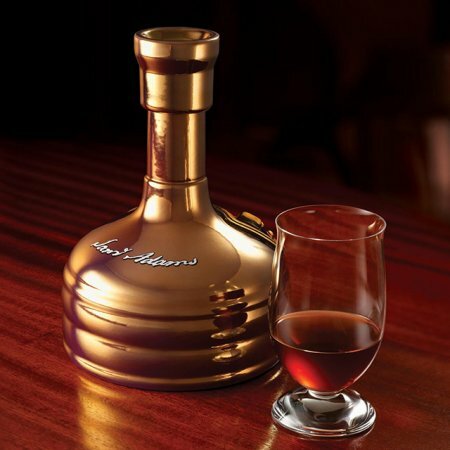 New this year, Utopias was also aged in Aquavit barrels, a Scandinavian spirit with distinct herbal flavours. Finally, the brewers created the final 2017 blend by sampling and blending barrel-aged beer including 24-year-old Triple Bock and 17-year-old Millennium, as well as previous Utopias vintages. After the blend was finalized, the brewers finished some of the 2017 Utopias in Moscat barrels, a wine known for its slightly smoky character. 588 bottles of Utopias 2017 will be released tomorrow (Thursday September 13th) at 9:30 AM via LCBO Online, where it will retail for $110.75 per 710 ml bottle, with a purchase limit of 2 bottles per transaction.